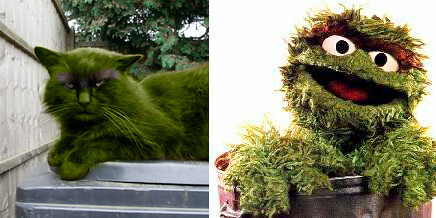 About a year ago we first saw Oscar sleeping in various places in the neighbourhood. He was very shy and ran off at the sight of any humans. Then in December, when the weather got really cold he started living in the area at the end of our garden where the wheely bins are which is well sheltered by a giant leylandii tree and high fences. He spent months living there before he became confident enough to come into the main part of our garden (and later the house). During that time living on the bins we started to feed him, got him some vet treatment and really gained his trust. 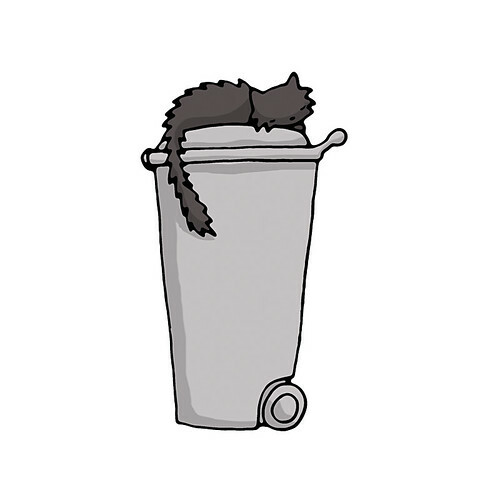 We decided that the perfect name for the kitty who lived on the bins was Oscar. He’s changed so much over the months, from a scraggly bruiser street cat to a soft fluffy affectionate house kitty.